Deciding how to handle unique gifts-in-kind, understanding the Canadian regulations affecting fundraising, and measuring fundraising effectiveness are complicated stewardship issues that charities often face. 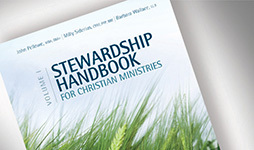 The Stewardship Handbook for Christian Ministries, Volume 2 (a companion to Volume 1) provides the best practices for handling these issues and many other aspects of stewardship, development, and fundraising. Whether you are planning a major fundraising event, creating a social media strategy, or figuring out how to use new technology for facilitating donations, you will find practical, faith-infused resources in this comprehensive handbook. 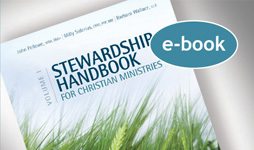 The Stewardship Handbook, Volume 2 will be available in all major e-book formats. 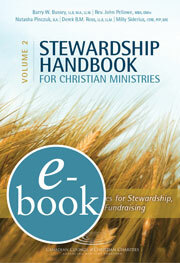 When you purchase an e-book you will receive a link in your email receipt to download your choice of e-book file.